Pictured Jackson County, Michigan woman, Amber Lynn Reeves and her victim, Tracy Logan. 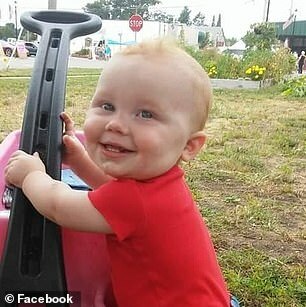 Amber Lynn Reeves, Jackson County, Michigan woman beats her boyfriend’s 14 month old baby son to death cause she was tired of babysitting him. 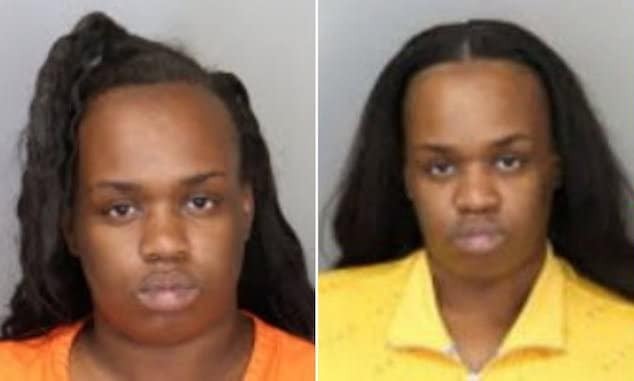 A Michigan woman was on Monday charged with manslaughter and child abuse after beating to death her boyfriend’s 14 month old baby son earlier this month. 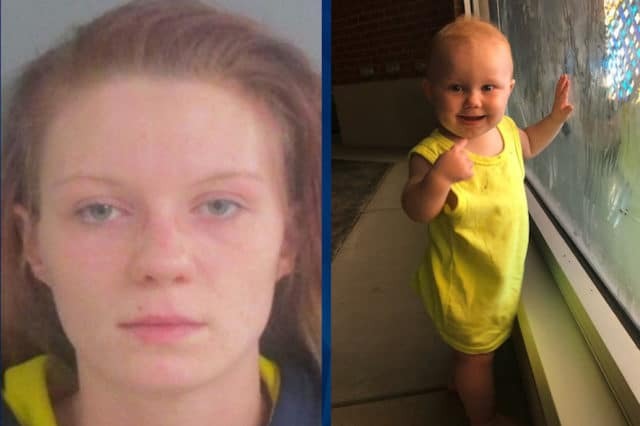 Jackson County prosecutors accused Amber Lynn Reeves, 24 of beating Logan Tracy which led to the baby boy’s death on October 11. 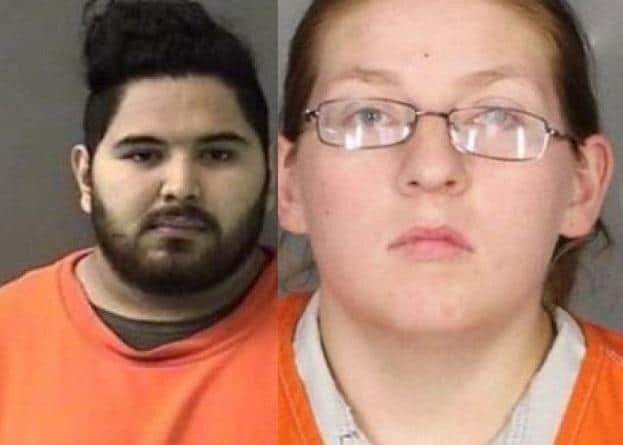 The assault occurred after the girlfriend becoming frustrated babysitting on behalf of the father, Mac Tracy– who Reeves was dating at the time reported WILX. 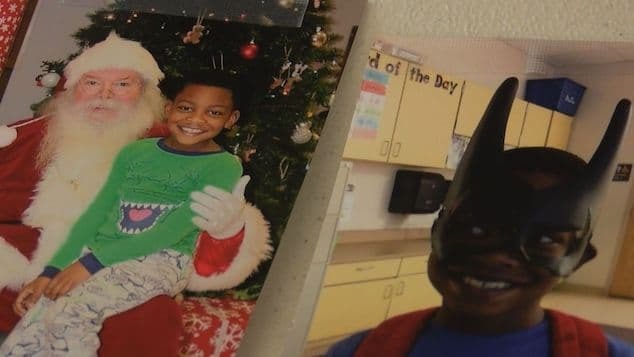 ‘Based on her statements in particular that she was angry and frustrated that she was left to care for these children and that’s what led to this, we don’t think she should be taking care of any children, even her own, at this time,’ Kelsey McKinnie, assistant prosecutor, said at Reeves’ arraignment in Jackson County on Monday. 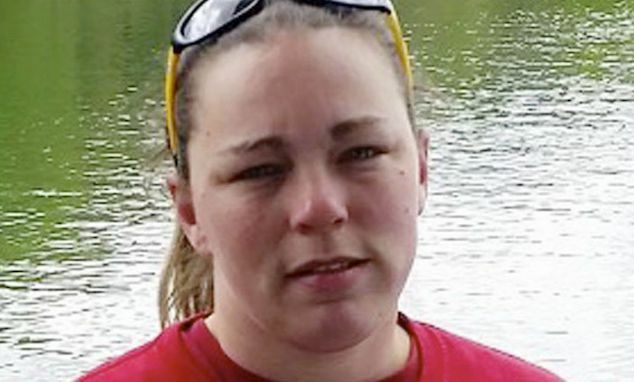 Of note, Reeves, who has children of her own, previously pleaded guilty to fourth-degree child abuse but those charges were later dismissed upon completing probation in that case. During Monday’s court appearance, Reeves was ordered by Judge Michael Klaeren not to have any contact with children under 14 years old. If Reeves is convicted for the death of Logan, she faces a maximum penalty of 15 years jail on the manslaughter charge, and a maximum penalty of 10 years in prison on a second-degree child abuse charge. Logan died two days after sustaining injuries on October 9 Mlive reported. 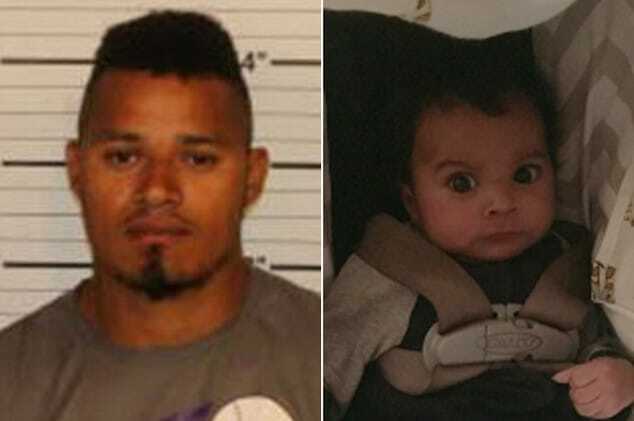 Prosecutors said Logan died of blunt force trauma to his abdomen, inflicted by Reeves because she was upset with his father, who she was involved with romantically at the time, and had left Logan in her care. ‘He loved to crawl in Memaw’s lap and cuddle just as much as she loved to cuddle with him,’ it read. Amber Lynn Reeves victim, Tracy Logan. A post from Reeves’ Facebook account as shared in a group called, ‘Michigan FIGHT CPS [Child Protective Services] AND WIN’ on July 18. In that post, Reeves wrote that her children were wrongfully taken away from her on June 28 and then returned to her on July 17. After nine comments congratulating Reeves on getting her children back, Logan’s grandmother posted a comment on Monday letting people know of Reeves’ current charges. ‘She’s currently in jail charged with homicide on my 14 month grandson,’ Barb Hunter wrote. Reeves, who will turn 25 on December 23, remains in custody on a $300,000 bond. If convicted, she also faces a fine of up to $7,500. A probable cause conference in Reeves’ case is set for November 9, and a preliminary examination is scheduled for November 14 at 9.30am with District Court Judge Klaeren.